Well, all the excitement from the Indie Book Blowout is now calming down. But that’s definitely not the end of the festivities. Because Christmas is not the only festival happening right now. 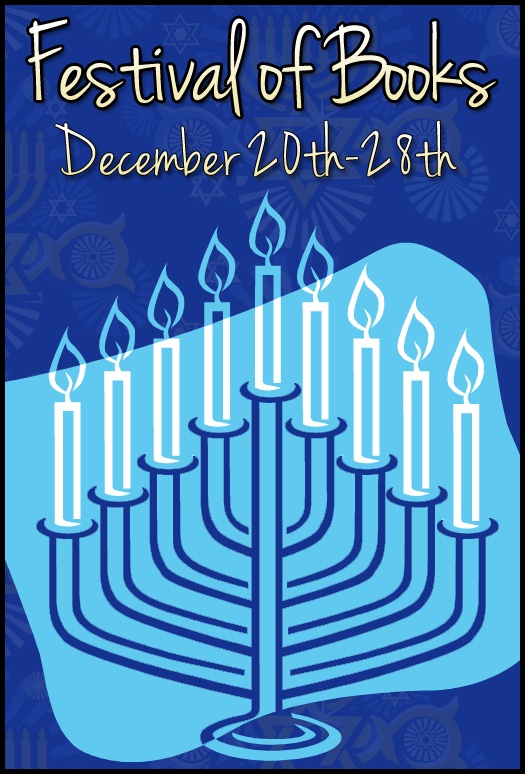 It’s time for Hanukkah, and the Festival of the Books. 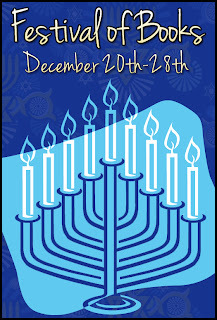 For me, it feels like a really good fit for Dag-Lit Central to be participating in a Hanukkah event. The theme of this blog is “Writing that stands out from the crowd.” After all, Hanukkah may be one of the most important events in the Jewish calendar, but growing up in the outer suburbs of Melbourne, it wasn’t exactly a well known cultural event. So celebrating Hanukkah instead of Christmas (well more like in addition to Christmas – we were kind of flexible in that way) was definitely something that stood out from the crowd. It was another way to feel a bit different, or special, however you wanted to look at it. Nowadays, Hanukkah seems pretty mainstream. There are big events in the park every year, and even big Menorahs in the middle of the city. And at my kid’s school, they always sing a few special Hanukkah songs as well as the Christmas Carols. I think it’s great that events like these can become accepted as a major part of society. So tonight, and every night as we light our candles and remember the events we’re commemorating, I’ll be thinking about what it is that makes us special, and also what it is that brings us all together. And what better way to celebrate than with some books. Which leads us to the best bit. Just leave a comment below. Tell me something about what Hanukkah means to you. Tell me something about what books mean to you. Tell me something about being different or being special. Tell me anything you think of about this wonderful, festive time of the year and you’ll be in the running. Just make sure to leave your email, so I can contact you if you’re a winner. Larry Kahn, author of The Jinx (thriller) and King of Paine (suspense): Blog and Twitter. And don’t miss out on the Grand Prize Draw. Have a very happy Hanukkah, whether it’s something you do every year or something you’ve never even heard about before.